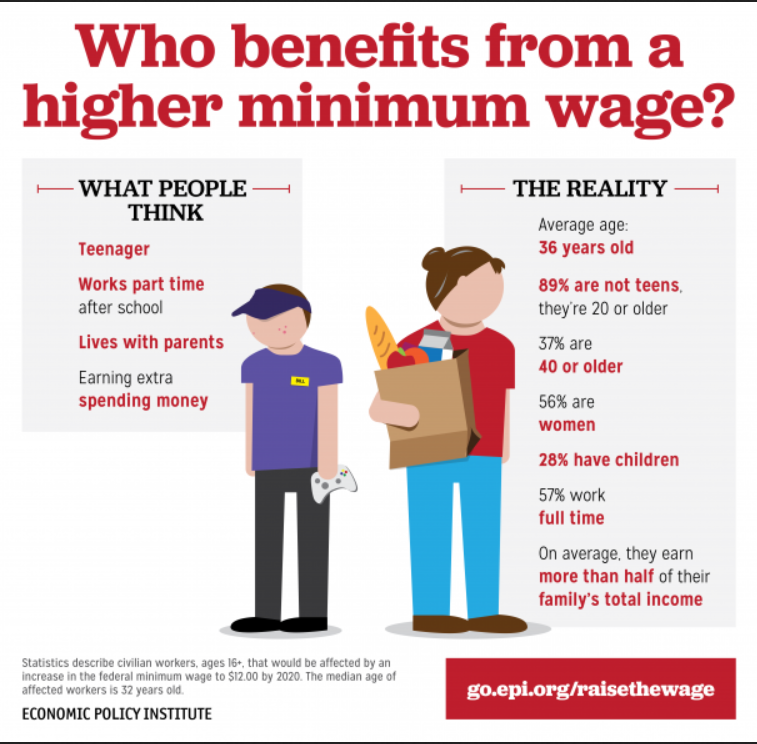 Mish's Global Economic Trend Analysis: Inane Analysis on "Who Benefits from a Higher Minimum Wage"
Inane Analysis on "Who Benefits from a Higher Minimum Wage"
Without any analysis or comment, Barry Ritholtz posted EPI propaganda on "Who Benefits from a Higher Minimum Wage". Barry, if you are going to post such nonsense, at least comment on it. I would like you to say how stupid such analysis is. That may be expecting too much. But if you agree with it, at least say so. Say anything. If you have an opinion, what the hell is it? Here is mine. Those who are not hired because they are not worth it. The EPI (and I am 99% positive Ritholtz) only looks at the winners, and even then superficially. What about the losers? Does the EPI care one iota? Ritholtz? I actually prefer to be wrong about Ritholtz. Looking for an excellent example of points three and four? If so, please consider Capitalism for Me, Socialism for Thee; Progressive Capitalism? 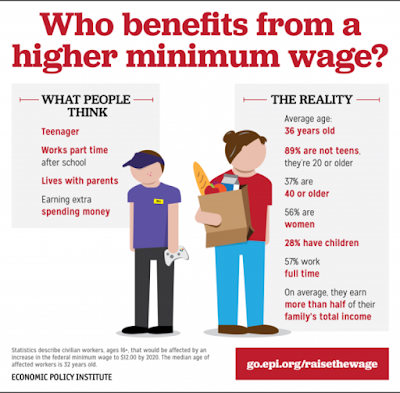 If the agenda fits, the EPI ignores the problems and trumps up the benefits. Unthinking analysts follow right along.